Based in Portsmouth, Top Tots has a team of friendly, experienced nursery staff, ready to meet your childcare needs. 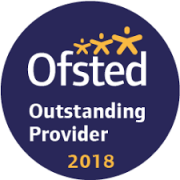 Our nursery staff have completed an extensive range of various qualifications and training to ensure all the needs of the individual children are met on a daily basis. Qulifications range from BA (Hons) Degree in Early Childhood Studies - working towards level 3 & 4 in Early Years Educator. Safeguarding children training is given to ALL staff as part of the settings safer recruitment induction process. Encouraging speech and language development, Makaton, dealing with challenging behaviours and recognising signs for additional support are some of the many training programmes that have been completed. All staff will have completed paediatric first aid and level 2 food hygiene training. A full list of all staff training can be viewed within the reception areas at nursery.